I know a lot of people who are always going on about "supporting the troops." They say it, write about it, post videos about it, and in lots of ways want to make it clear that they are superior human beings, better patriots, because they "support the troops." But, what exactly does that mean, in their world? As I see it, it means supporting, expecting, even demanding that our troops be sent all over the globe for all sorts of reasons. None of these reasons seem to have anything to do with a declared war, or protecting against an attack from another country/government. Rather, it is about "the game." The political game. They tell us that our troops are fighting for "our freedom." Yet every day in ways too numerous to count, we are losing our freedoms. The government grows larger and more powerful, takes more of our money, and decides that "security is more important" than freedom. And you allow it to happen. You demand it, you chastise those who dare to question our government's methods, and God help the person who questions the use of our military. Oh yes, the star-spangled patriots jump on them with a vehemence seldom seen in most human's lives. But the reality is that those who are taking our freedoms are not riding camels or Toyota pickup trucks somewhere in the Middle East, they are wearing suits and working in Washington, D.C., Richmond, VA (And numerous other state capitals), and Chesterfield County, VA. You want our troops to "fight for our freedom?" You know who they need to be attacking. 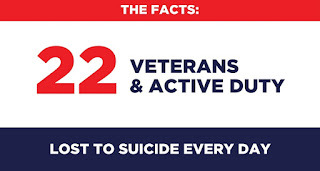 And while you are "supporting the troops" and demanding that they be sent to yet another theater of operations, to once again be placed in harms way, twenty-two (That's 22) veterans, retired or currently serving, commit suicide each day. Now you have to ask yourself, "WHY?!" What would make them do that? Is that number similar to veterans from wars past? If not, what has changed? What do they see that you and I do not see? What do they know that you and I do not know? What have they been asked to do that you and I are not being asked to do? Again, WHY? Well, I support the troops. I support bringing them home. I support not using them as pawns in a global political game, that benefits an elite few, but does nothing to benefit the people who are doing the fighting and dying, I support the Constitution's demand that Congress debate the need for and declare war when needed to DEFEND against attacks by another country's army. I support NOT using the U.S. military as the world's police force. I support spreading democracy by setting a positive example of what freedom looks like, not by force of arms and occupying another country. I support the vision of our Founders, of not having a huge standing army (remember that 2nd Amendment thing?). And if war does become necessary, it is declared and it is fought to win and win quickly and decisively, not to protract it for the purpose of occupying a country for its resources or providing arms manufacturers, who lobby your representatives, the opportunity to sell more weapon systems. In your eyes this makes me "unpatriotic." I must hate the military, I hate my country, I don't see the "big picture." Yet I am not the one who wants to send more young Americans to die in countries that have done us no harm or for reasons that have nothing to do with "protecting our freedom." If you want to protect your freedom then you need to 1) Stop believing everything the media tells you 2) Stop believing everything the politicians tell you 3) Research, learn, and understand what freedom really means and 4) Stop voting for people who care not a whit about your freedom or the country (R's and D's). 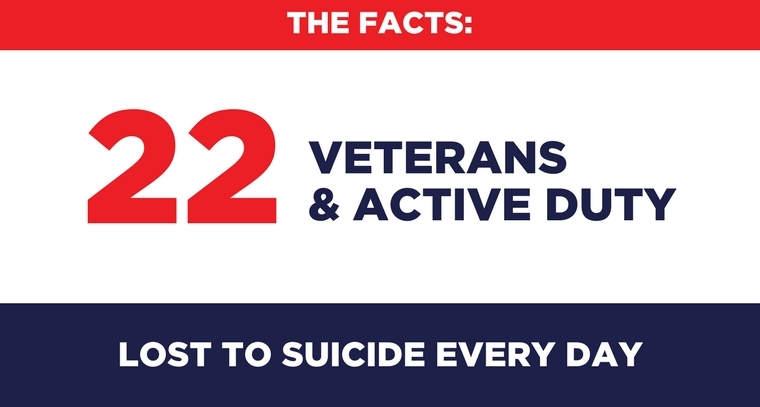 Maybe if we do those things, collectively, we can stop sending our young troops around the globe to die, and the less we have to do that then a likely result will be that fewer will commit suicide.I'd call that real support.